I had read Cybele's recent review of Q.bel's bars (here), and her review on this particular product (here), so when Q.bel offered me some samples of their candies, I could not resist. 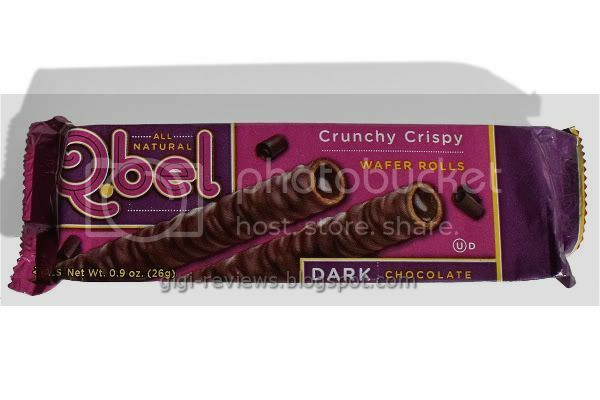 I opted to start with these wafer rolls because I love wafers to begin with -- and I was hoping that they would remind me of a really high-end Piroutte type candy. Smelling the rolls, they have a really deep cocoa scent right off the bat. But as good as the smell is it can't prepare you for the flavor. 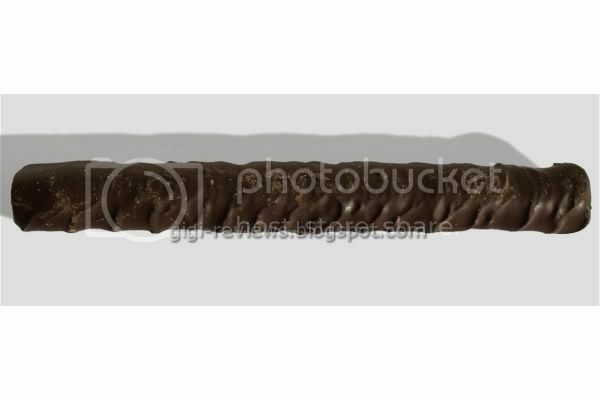 The outer layer of chocolate is thick enough to totally cover the wafer roll. The wafer roll is thin -- I don't think it is quite as thick as the Piroutte's. 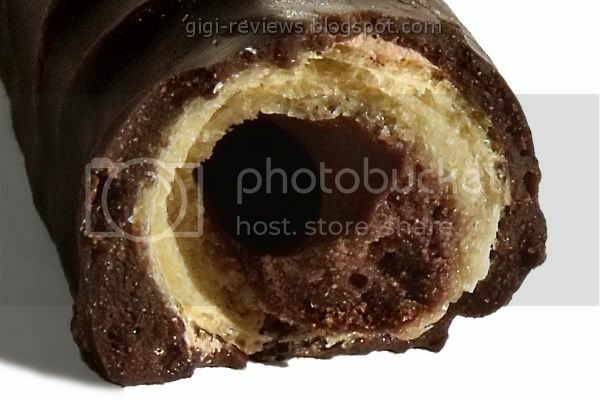 The center is filled with the same dark chocolate that the roll is enrobed in. The wafers are crispy, and seemed slightly buttery to me. The inner chocolate layer gives you a deeper hit of the chocolate. The center is not completely filled. 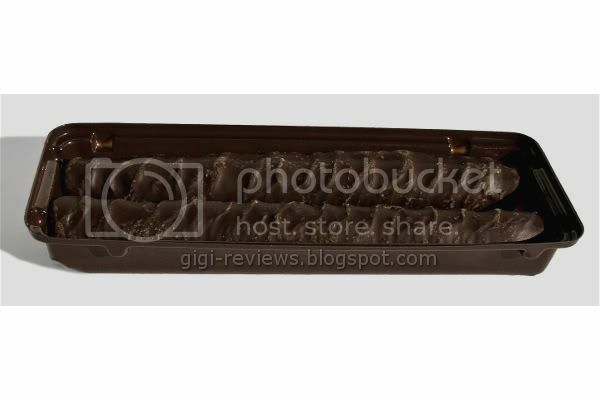 There are air bubbles or gaps, but not so much that you wonder where the chocolate went. The chocolate is smooth and melts fast for a dark. It has rich coffee notes, and the aftertaste reminded me of good hot cocoa. All told, these are seriously good. Q.bel products are all natural, contain no preservatives, no HFCS, and come in at 120 calories for a two finger serving. Since everyone seems to still be stuck on the 100 calorie snack kick (and since most of those products taste like cardboard), you should sacrifice those extra 20 calories and have one of these instead! Also contains wheat, dairy, soy and peanuts.